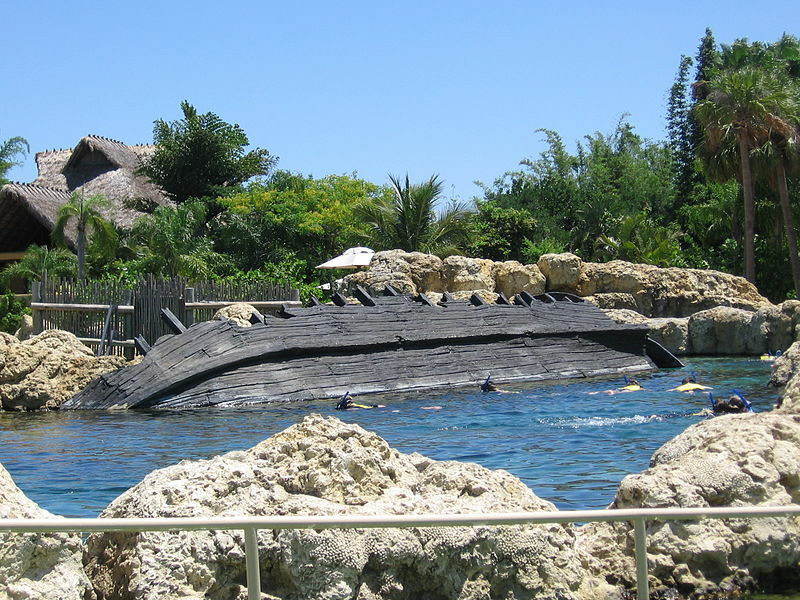 No visit to Orlando is complete without a trip to Discovery Cove Theme Park. You can pick up inexpensive Discovery cove tickets for the family and have a great time swimming at this water park owned by SeaWorld Orlando. There are many different activities for people to experience and admission is limited to around thirteen hundred guests to keep ensure that the venue is not crowded. Admission to the park includes many different features. You get a free breakfast and lunch in the restaurants. There are various snacks and beverages for you to sample throughout the day. Alcoholic beverages are also included in this cost. As a bonus, you will also get a ticket to SeaWorld Orlando, Aquatica, or Busch Gardens Tampa Bay. You get to keep the snorkel you are given as a souvenir as well. Find a cabana near the pool and take a break from your fun, or relax there all day. 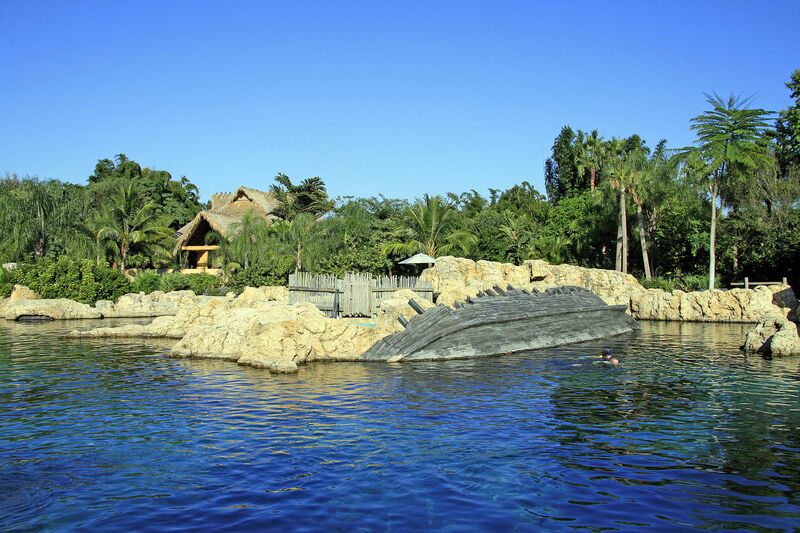 Discovery Cove has a coral reef that guests can snorkel through and observe and swim with thousands of tropical fish. There are also four foot Sting Rays in the water, a shark tank and a tiger fish tank that are next to the swimming area. Snorkeling equipment is included in the cost of your ticket entry to the park as well as a locker, towel and sunscreen for each guest. This magical place also has an aviary that allows the birds to fly within a large, enclosed space. It has more than two hundred and fifty tropical birds that guests can feed and interact with. The collection of birds includes: toucans and parrots, as well as more than thirty other kinds of exotic birds. There is a heated Tropical River that you can swim through that flows around the park. The route flows directly through the aviary and circles the park, running past beaches, rainforests, and waterfalls before flowing into a heated freshwater resort pool. The park also offers an area known as “Grand Reef”. It has an island filled with palm trees, a white-sand beach, and features underwater grottos filled with reef sharks, moray eels, and many different kinds of tropical fish. There is a rope bridge you can use to walk over a shark filled lagoon, or you can snorkel with the eagle rays. There is also an attraction called SeaVenture, which is an underwater walk on the sea floor. You wear special gear that allows you to breathe underwater. There are different admission tickets to the theme park which include interactions with dolphins. You can swim with the dolphins for thirty minutes or you can become a trainer for the day if that is something you are interested in. 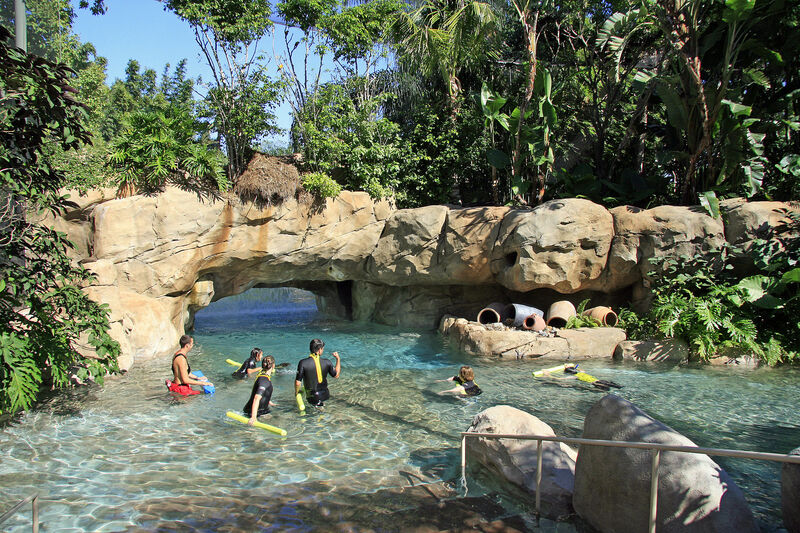 To swim and interact with otters and marmosets, visit the freshwater area and take a dip. This theme park has many special things to offer families looking for a relaxing day in the sun filled with swimming and many different adventures. You will definitely cherish the time that you spend at this all inclusive water resort in Orlando, Florida. Images by Ardo191 and Michael Lowin, used under the Creative Common license.